Mark Twain once said, “Get a bicycle, you will not regret it if you live.” I cannot agree with him more. Living deep within the traffic gridlock of Chicago, we find that bicycling is the easiest and most efficient mode of transportation. Meeting some friends for dinner in Bucktown? Hop on your bike, and you’re there in mere minutes. For free. No waiting for the bus or train, no cash cabs, and no paying to park. It’s fast, free, efficient travel at it’s finest – with a catch. There’s always a catch. Bikes are big; urban living quarters are not. Our solution? Hang those bad boys on the ceiling! Start by taking some simple measurements (remember: measure twice, drill once!). I’ve found that 44 inches is a near perfect width between hooks, as it seems to accommodate nearly any size or type of bicycle. You’ll also need to keep in mind that the handlebars are the widest point of any bike, so make sure you’re far enough from nearby walls to keep your bikes hanging nice and vertical. I placed my inner-most hook about 14 inches off of the dark blue wall, but your measurements may vary. 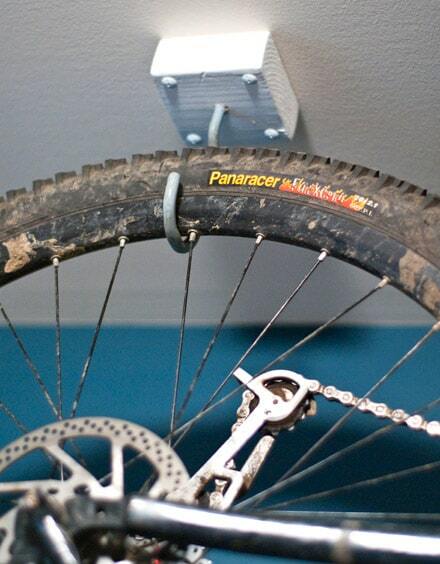 Also be sure to allow space for the area between the (upright) lowest point of the wheel and the wall that the (inverted) bike will face; 16 inches in our case. 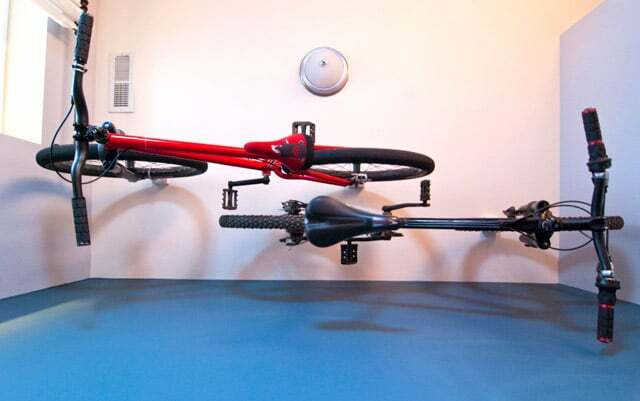 This all may seem a bit confusing, but the photo below illustrates how the bikes line up with one another (while hanging from their respective hooks) and their relationship with the 3 surrounding walls. (Not to mention, probably the most bizarre photo I’ve asked my lovely wife to snap for the sake of YBH). The measurements are the most time consuming aspect of this project, so once you’ve checked (and re-checked) all of your numbers, you’re ready to move on to power tools. I simply cut four squares from standard two x fours, which I painted with simple, acrylic white paint. From here, drill your center hole, and an equally spaced hole at each corner (again with the measuring). Now that your squares are cut and holes are drilled, let’s put some holes in that perfect sea of flat-white drywall, shall we? I simply lined my blocks up straight with the walls using some simple measurements (more numbers!) and marked all of my points through the holes using a pencil. 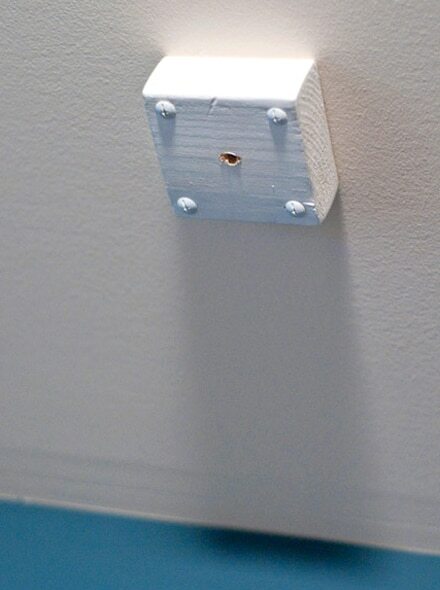 Using a studfinder, I was able to make sure that my hole locations were safe, then poked 8 holes right through the drywall with my handy power drill. I’ve found Hilti Toggler Bolts to be among the greatest products known to man, and this application is no exception. Simply place the brass end of the toggle through each corner of your blocks, then through the drywall, tighten and bam! You’ve got four chunks of two x four stuck to your ceiling. 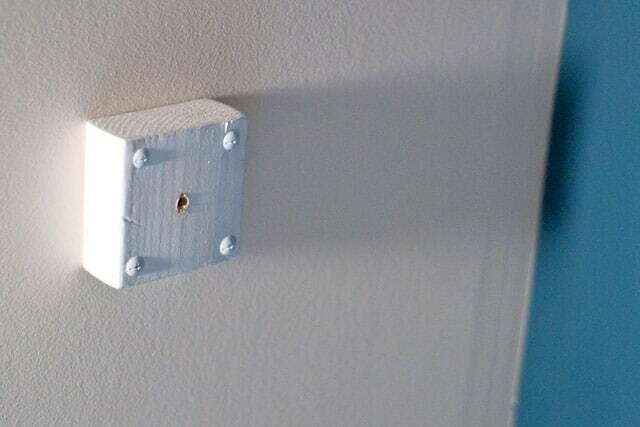 Touch up those glaring screw heads with your paint, and you’re good to go. You could also caulk around them for a more finished look, but my plan is to cover them with decorative fence post caps. Once you’re happy with the look of your new wood blocks, simply screw in a set of bicycle storage hooks and you’re done! 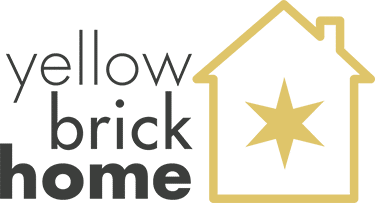 In total, this project will set you back about twenty bones, and save you a whole lot of priceless floor space. 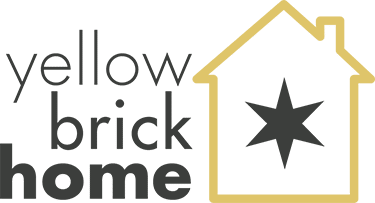 It could easily be accomplished without the hassle of wood blocks and anchors if you have a bit more space, and you can screw your hooks right through the drywall and into a wood stud. 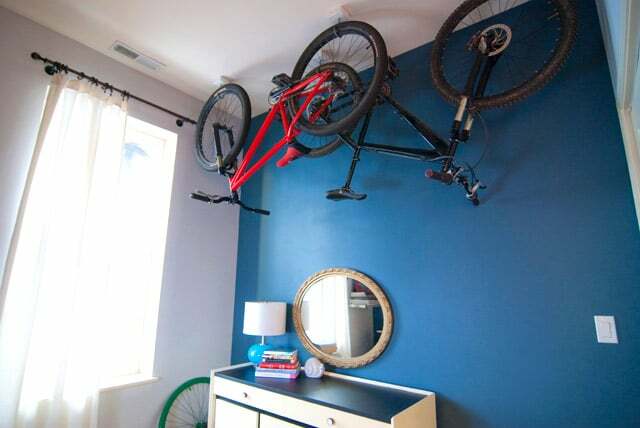 But if that were the case, you probably wouldn’t be worrying about hanging your bikes on the ceiling, now would you?